You have ordered a delicious food, your dishes have just arrived and the moment you are about to relish your food, you see a fly sitting on your food. The unpleasant sight of a fly over your delicacy does not allow you to relish the meal. Do you want to eat the meals from a food joint where you see ample flies are flying over the foods? Certainly not! No body wants to eat the foods which have been infested by flies. The flies hovering over the foods in your kitchen or in the pantry of a restaurant will make the foods unhealthy. Your health will not be safe if you eat foods which have been infested by flies. You must have seen flies are always to be found on the filthiest places. Aside from feasting on your food, these flying insects are fond of feasting on stale and rotten foods which you dump in the trash cans. 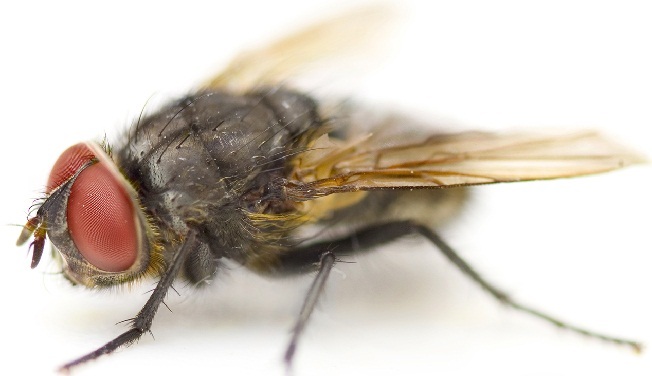 The fly critters spread a hell lot of germs around you and on the food they sit on. The infested places of flies will be mostly on garbage, indoor and outdoor dustbins. When these flies sit on those filthy places and then sit on your foods, then they transmit countless bacteria. In order to stay healthy, you will have to make sure that you do not eat pathogen-filled foods. Stop flies from landing on your food by implementing our flies control Perth solutions in your territory. In Perth, you will find cluster flies, crane flies, deer flies, bluebottle flies, fruit flies, drain flies, flesh flies, black flies and sand flies. Cover the lids properly on the food bowls and containers. Tighten the lids of dust bins and trash cans. Do not keep fruits and vegetables in open areas. Maintain a hygienic atmosphere in your house and surroundings by cleaning your house regularly. Seal the holes in the windows and doors. Do not dump garbage outside your house. Always you should throw in a trash can. Keep the indoor and outdoor of your place free from unwanted stuffs. Get a pest treatment against flies regularly to keep flies away. Make your house free from flies forever with the use of our “flies control services”. Our servicemen will be arrived at your place to process the breeding points of flies by starting with inspection. A detail inspection will be done in and out of your residential precinct to know the reasons of infestation. Our servicemen will also try to know the opening points of infestation. Upon revealing the infestation sites, our men will then apply our fly control solutions and treatments. They will make use of surface sprays, gels, fly repellents and baits to forbid flies from accessing your house and business zone on and off. To shoo away flies permanently from your living zone, you will have to schedule a fly treatment plan on a regular basis.